Super Lustrous Live Boldly Lipstick is all about inspiring women to express themselves with passion, optimism, strength and style. Revlon has recently introduced six limited edition Live Boldly Super Lustrous Lipsticks which come in the boldest shades ever! 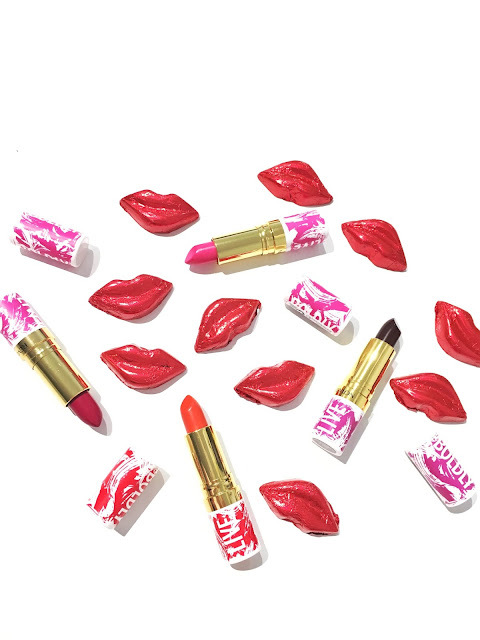 What makes these lipsticks unique is that they offer amazing impact and are infused with silky and vitamins for that smooth and hydrating finish. (There are no flaky dry bits which is ideal). As for the application of these lipsticks, they look to glide on so easily giving you that smooth and consistent application. Also, they're easily buildable too depending on what ideal look you're after. 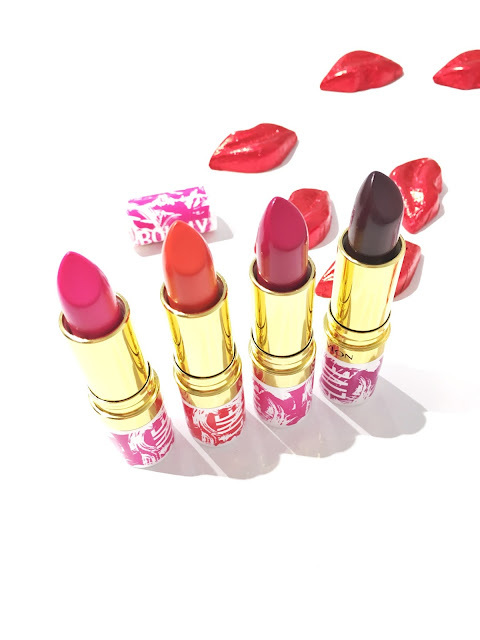 These lipsticks are incredibly striking and flattering, as well as creamy and moisturising. They are great for rocking bold looks and there's six to choose from. 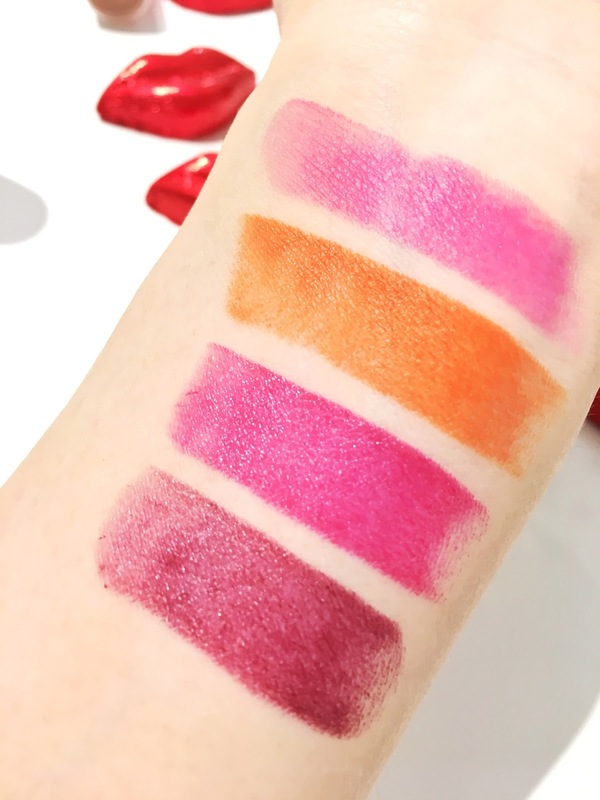 Pictured below I have swatched four out of six of their shades, being Black Cherry, She-Nomenom, Cherries in the Snow and Boss Lady - which are beautiful looking with its amazing colour payoff. Revlon's Limited Edition Super Lustrous Live Boldly Lipstick collection is exclusive to MYER and RRP $22.95 each, and is now available. (1) Boss Lady (060) - This is a lovely warm toned fuscia shade which looks romantic and sweet. (2) She-Nomenon (064) - This is fun and fruity citrus type of shade that sort of reminds me of the KPOP vibes. It's a cute and fun shade to rock for everyday. (3) Cherries in the Snow (059) - More of a cooler toned pink/fuscia which pops with amazing colour. (4) Black Cherry (061) - For more of a bold look, this cherry inspired shade will look lovely for a fierce and sassy style. How gorgeous are the shades? Are you excited to check these out?